Are you in media in one way or another? Do you ever wish for a space that allows you to connect to other people in media innovation; that serves as a hub, coworking space, knowledge exchange facility and event location; that connects big companies with innovative startups in the digital innovation game? If so, you should visit Malmö and Media Evolution City. It calls itself the “Media Industries center for innovation and development”, and it wants to be the cluster where media innovation happens. “We help our member organizations to develop solutions for a digital growth and society”, explains Sara Ponnert, Project Manager at Media Evolution City. Foto by Sebastian Borg/Media Evolution City. But the real secret is collaboration. Knowledge exchange is key here, says Sara. 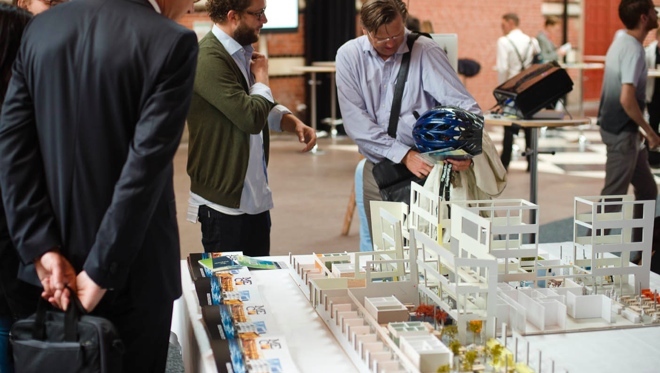 “In Malmö, you just have a need for collaboration and a sharing spirit”. Part of the reason is that Malmö hasn’t been an innovation hotspot by birth. It’s the smaller sibling to Swedish capital Stockholm and Danish capital Copenhagen, which is just a 30 minute drive away by car – and it still has to fight for it’s seat on the table. A fact that creates a feeling of unity in the city’s creative scene. It also helps that Media Evolution does a mean bi-weekly afterwork party that connects the scene, modestly called “The World’s Best Afterwork”. (We have been there, and they might really have a point with that claim). Also, they organise roundtables called “Open Agency”, as well as workshops and events. 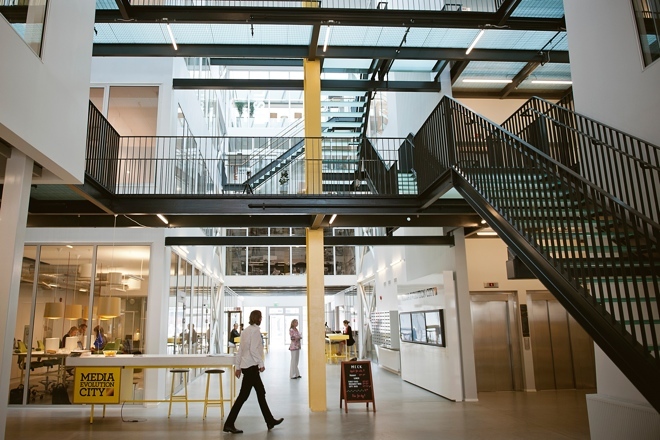 At Media Evolution City, about 400 member organizations work, design, collaborate and communicate each day, many of them residing in the large building situated in Malmö’s new and industrial Western Harbor district. They all are somehow working on digital change, but with a very wide range from tech to architecture and food to film. 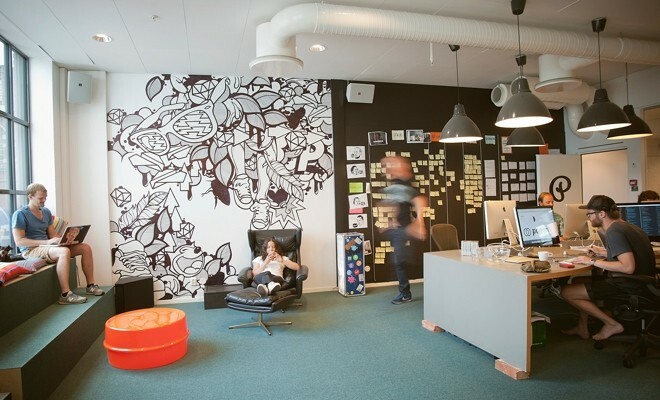 It started as a research project that Magnus Thure Nilsson, now the CEO, conducted in 2004, to figure out what the creative scene in Malmö needed to grow and innovate. “We started by asking the market: What do you need? Might that be helpful?”, Magnus explains. “We listened, we learned and we iterated.” They still continue to develop the hub further, always with a strong community engagement and focus on the needs of the community. “We learned to focus on the right things. When we were really good, it was always when we listened best”, says Magnus. When they moved into the new building in 2012, they actually built a model of the house and let members have a say in how they wanted it to be set up and furnished. “It’s a crowdsourced house”, he laughs. The building prototype. Foto by Media Evolution City. And there is something else. 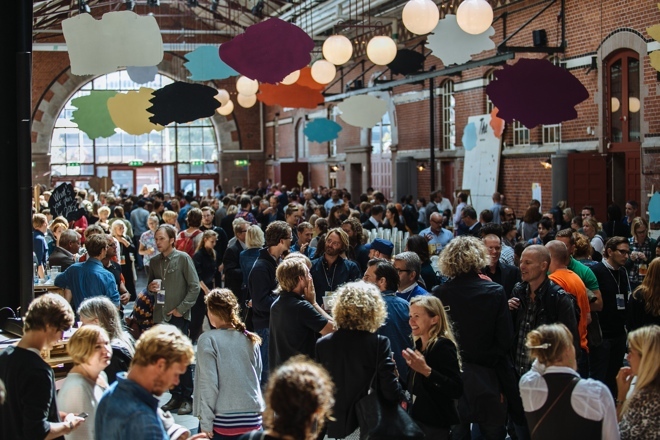 In recent years, people in media started to whisper about this insider’s tip – a cool conference happening in August in Malmö each year, called – modest again – “The Conference”. A colleague who went there described it as “the one conference that I really love to go to because it’s not like a conference at all”. Martin Thörnkvist, the mastermind behind The Conference, would probably like that description. He was bored by the conferences he had gone to in his life, and felt the need to create something more meaningful, more engaging. “We help our audience to explore complexity in the digital world, help them answer the question: How does this here relate to their world, their life?”, he describes his aim. “We want you to be at The Conference and hear about things you didn’t know you wanted to hear.” It’s one day of keynotes and breakout sessions, and they follow a storytelling scheme that guides you through the day and creates an immersive experience, including approaches like “How to make things happen”. The Conference 2014. Foto by Media Evolution City. The whole operation, Media Evolution City as well as The Conference, feels surprisingly big for the small city of Malmö. You can feel that at some point, the city might become too small for the big aims. So will there be a similar operation anywhere else soon? There might, and it could even be in Germany, says Magnus. “But all this here is built on Malmö, on it’s networks and people. We would need to figure out the identity of another city if we want to create something similar there”.